A chilling and thoroughly researched account of the racially motivated killing of two black couples by a white mob in 1946 rural Georgia. In 1946, the bodies of two black couples—Roger and Dorothy Malcom, and George W. and Mae Murray Dorsey—were found near a bridge in rural Monroe, Georgia. Their killers were never identified, though some information would come to light: Roger was on his way home from jail; George had just returned from WWII. The crime came to be known as the Moore’s Ford Bridge Lynching; the last mass lynching in America. Though it sent shockwaves through the community, many details of the crime and its aftermath remained unknown—until now. In The Last Lynching, Anthony S. Pitch reveals the true story behind this horrifying crime in unprecedented detail. Drawing on some ten thousand previously classified documents from the FBI and National Archives, including grand jury records previously thought to be lost, The Last Lynching paints an unflinching picture of the lives of the victims, suspects, and eyewitnesses, and describes the political, judicial, and socioeconomic conditions that stood in the way of justice. 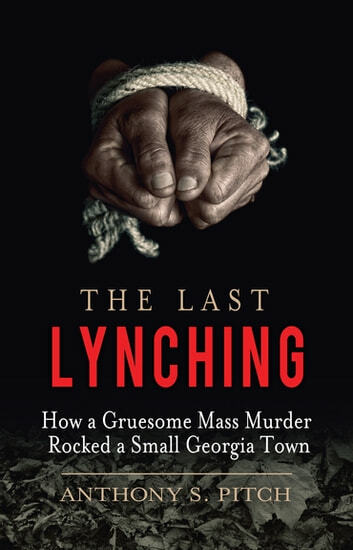 Along the way, The Last Lynching sheds light into a dark corner of American history, and “delivers an eye-opening reminder of ongoing bigotry” in America (Kirkus Reviews).